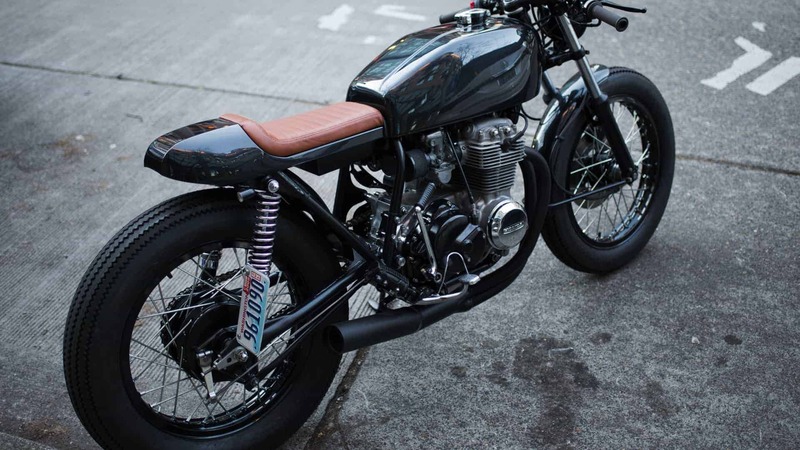 Motorcycle security chains are the most common way to secure your bike against theft. Once your bike has been chained to something solid and immovable, it is nearly impossible for it to be wheeled, towed or ridden away without the use of power tools. The types of chains available on the market are numerous but here we go into what we feel is the most efficient in terms of size, length, weight, strength, durability and portability to help you decide which is right for you. 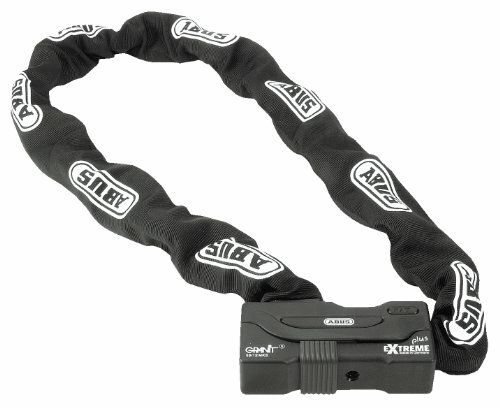 Welcome to our best motorcycle security chain round up and review. The Kryptonite New York Legend is truly a legend in the making. Featuring 15mm hardened steel links and a 16mm shrouded reinforced shackle, nobody is going to be making off with your pride and joy without a serious fight on their hands. In fact, the shackle doesn’t consist of a traditional hoop which some thieves would try and prize a set of bolt cutters between but a fully integrated locking system. Just the sight of the thing has me breaking out into a cold sweat at the thought of losing the keys and trying to bust it open, but rest assured because 3 keys are included. Lengths of 36” (914mm) and 60” (1524mm) are available with the longest option weighing in at 15.95 lbs (7.23 kg) making the Legend slightly more suited for home security but still a great option for securing your motorcycle at work or elsewhere. Kryptonite’s Anti-Theft Protection Offer applies and this setup has been rated a 5/5 by the testing agency ART. 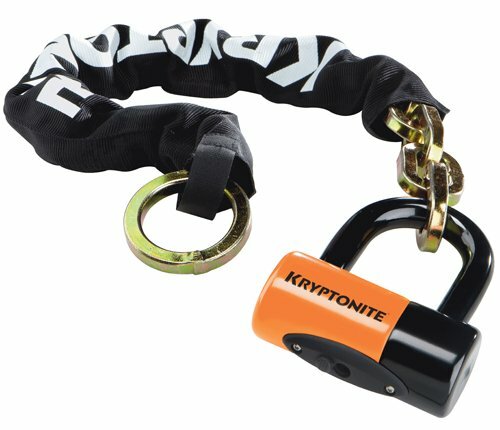 The Kryptonite Fahgettaboudit is our current favourite runner-up motorcycle chain lock. The chain itself features 14mm links for extra protection against bolt cutters and is available in lengths of either 39” (990mm) or 60” (1524mm) depending on the size of your motorcycle and how you intend to secure it. Each link is made from hardened and heat treated magnesium with a narrow internal diameter to prevent leverage attacks. The entire length of chain is also covered in a weather and heat resistant nylon sheath which adds another dimension of protection against cutting and cropping tools. The padlock included with this behemoth is a 15mm steel shackle with a small internal hoop diameter which means that once both ends of the chain are secured, it would be very difficult to get enough leverage on the padlock to cut through it. Now this chain is heavy at 15.25 lbs (6.92 kg) so it would most likely need to be stored in a top case or similar when in transport but it is worth it for peace of mind. 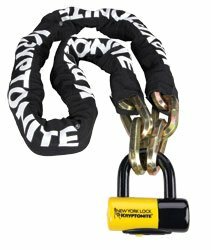 Both Sold Secure Gold and Thatcham Category 3 awards were achieved with this chain and padlock combo, which in combination with Kryptonite’s Anti-Theft Protection Offer means it should be near the top of your list. The OnGuard Beast is a worthy contender and only slightly misses out on a higher spot due to the lack of Thatcham rating and lower anti-theft protection value. Each link is 14mm and cut from titanium reinforced steel, wrapped in a tough nylon sheath. The chain is available in lengths of 42” (1067mm) or 72” (1829) which does offer a lot of flexibility for those cruisers and baggers. 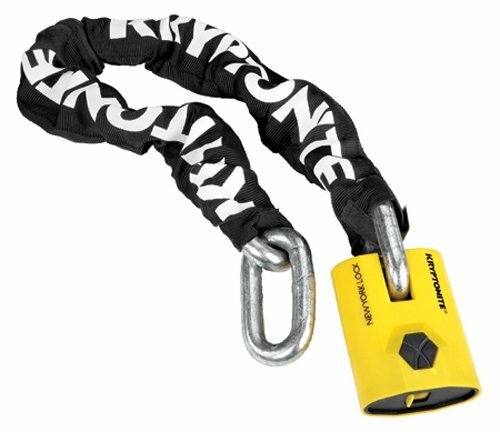 The shackle used here is a 14mm Boxer U-lock, again made from hardened steel and featuring OnGuards’s Quattro Bolt system for added protection. The 72” chain setup weighs in at 22 lbs (9.98 kg) making it the heaviest here on test. 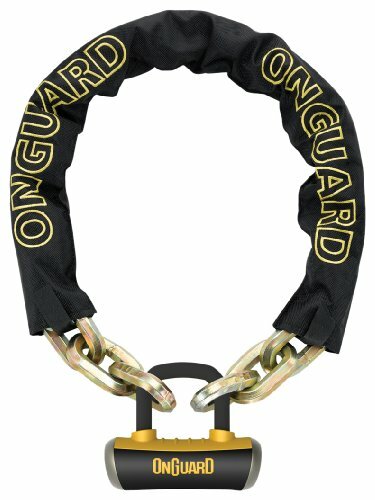 The OnGuard Beast has not been submitted for an official security rating but we would imagine it to meet Sold Secure standard based upon the other offerings in their range. Next up on the list is the high security entry from Kryptonite, the New York. This one features hardened steel 12mm links so a little smaller than the other chains on test making them more susceptible to bolt cutter attacks but also much more portable. The Evolution series 4 14mm shackle fitted to this one is also not quite as strong as the previous Kryptonite’s but still consists of a steel crossbar and double deadbolt with anti-drill protection. Available in lengths of 39” (991mm) or 66” (1676mm) with the longer option weighing in at 13.15 lbs (5.96 kg) means that the New York may be your go to option if mobility is your number one priority. This chain has obtained a Sold Secure Gold rating and an ART rating of 4/5 and still features Kryptonite’s Anti-Theft Protection Offer, albeit at a lesser level than their maximum security chains. Last up is the Abus GRANIT Extreme. An impressive name for an impressive chain, this one features Abus’ own patented integrated locking shackle system. One end of the chain slides into the locking cassette leaving a fully enclosed mechanism that cannot be cut through like some other shackle systems. The chain itself consists of 12mm links of what Abus refer to as a special hardened steel and comes in a grand total of three different lengths, 43” (1100mm), 55” (1400mm) and 67” (1700mm). The 67” option weighs in at 12.56 lbs (5.7 kg) which is relatively light for its length. To top it off, a Sold Secured Gold and ART rating of 4/5 were achieved. We really liked this entry from Abus (it does look great if that matters to you) and it possibly would have scored slightly higher if not for the cost. We just feel that the Kryptonite New York offers better value for money. If you’re interested in portability and carrying these chains around with you, we suggest purchasing a motorcycle backpack once you’ve read through our high quality motorcycle backpack guide. And there you have it folks, our compilation and review of the best motorcycle security chains on the market today. Feel free to send us a message with your experiences.